I hope you're doing well and having a pleasant time with your loved ones. Today, I am going to talk about something different. I always write about beauty and fashion but I thought I should post about something that falls under the category of lifestyle. I've been making plans on how I can renovate my room. With every season, a bunch of new colors and designs arrive at IDEAS HOME. Colors that warm up and refresh your daily lives. I'm currently on a shopping spree and just came to know the fact that Idea has recently launched a bunch of new bedspreads; let me tell you a little bit about their new collections so it's easier for you to select & choose your favourites from the lot. You all must be aware of the fact that I love bold and vibrant colours. The ones I really liked out of the collection are: Neon Vibe and Jaipur. The reason I chose these 2 is because I adore fun colours. I have always been a fan of bright neons and I do incorporate them in my daily life as well. Furthermore, we all need a bit of desi touch in our plain lives; I liked the design because it seems perfect for a person like me. Fashion isn't just about decorating yourself but your surroundings as well. I like to keep my room decorated. Hence, I often invest in all sorts of bed sheets as our bed is the main element of the entire room. Ideas by Gul Ahmed ensures that the fabric stays intact. I did buy some bedspreads that failed to impress me as the colours started fading after a couple of washes. 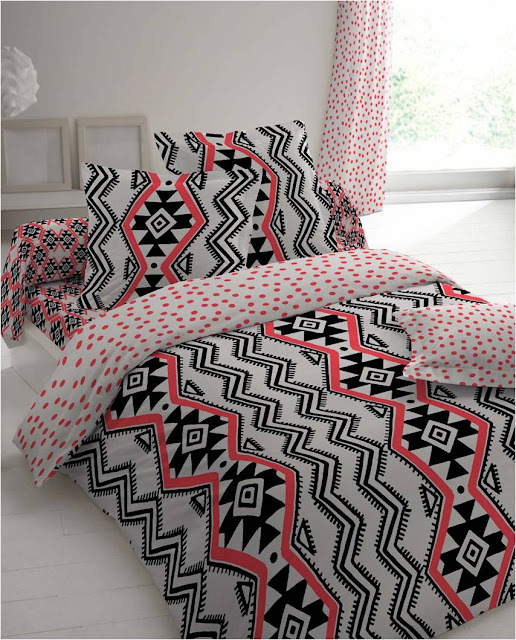 If you have any desire to make your room pretty, then I'd suggest you to pay a visit to your nearest Ideas by Gul Ahmed outlet as they have a phenomenal range of bedspreads available for you to choose from. I've been shopping from them ever since I was a child; I have full faith that they will always provide me the best quality. Hope you enjoyed my post,as much as I enjoyed writing it.